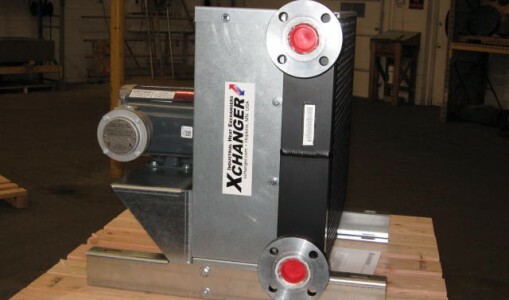 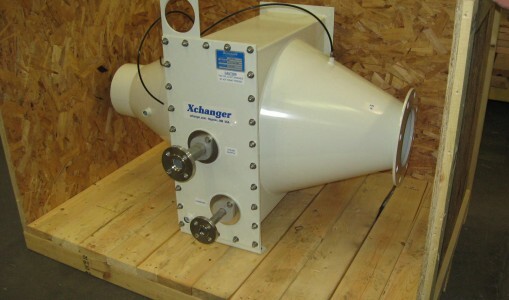 With 3 independent circuits, this custom design heat exchanger with one motor-driven fan is able to cool the discharge air and lube oil from an air compressor, and at the same time it heats nitrogen gas from a liquid nitrogen evaporator. 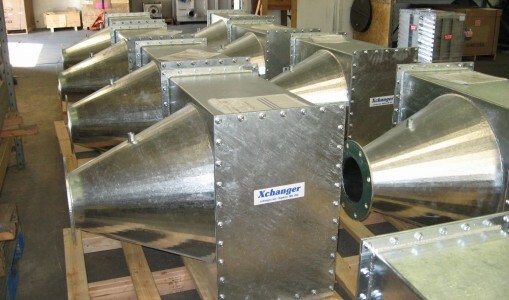 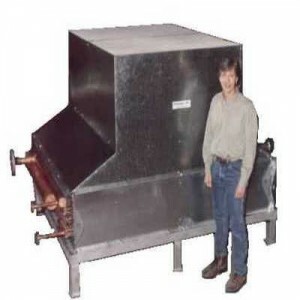 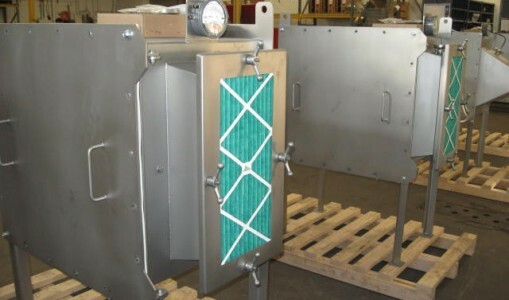 This LC Series heat exchanger uses a 48 inch diameter, 3 HP fan to blow 15,000 CFM of 90ºF ambient cooling air vertically up through its three-circuit fin-tube core. 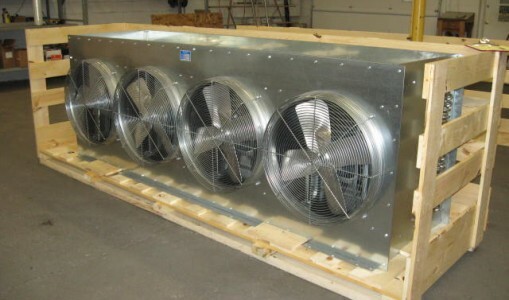 The largest of the three circuits is used to cool the compressed air (2,000 SCFM at 100 PSIG from 210ºF to 120ºF). 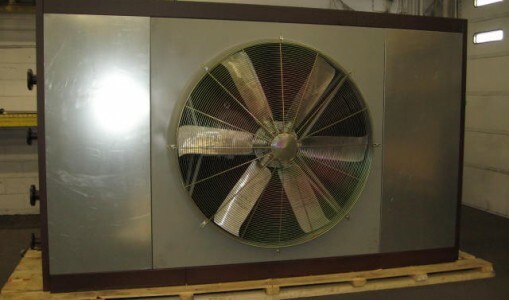 Another circuit provides cooling for the compressor oil (9 GPM from 160ºF to 130ºF). 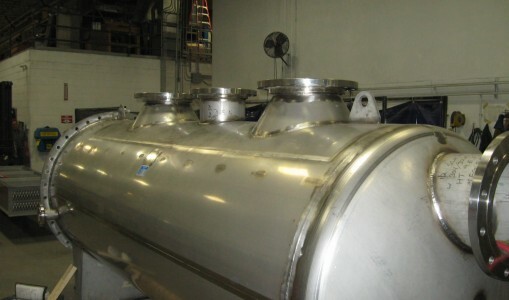 A third circuit superheats nitrogen gas from an evaporator (200 SCFM at 120 PSIG from -200ºF to 40ºF). 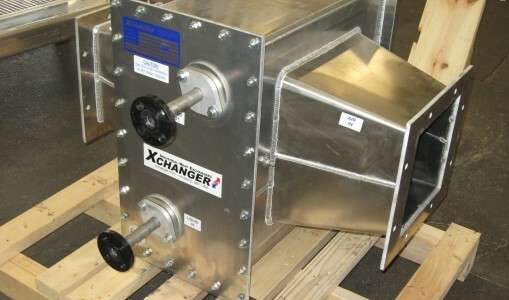 This three-circuit heat exchanger replaced three separate heat exchangers that were originally specified for these duties. 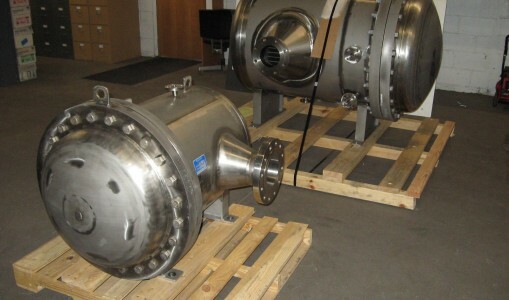 In doing so, it simplified up-front engineering and reduced capital costs. 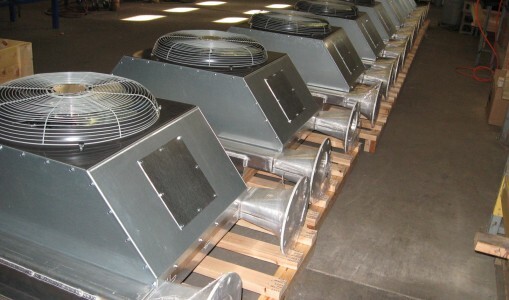 This design, with it’s unique 3-in-1 capability, also yielded significant savings in the installation, maintenance, and operation costs.